Every employee, within all of our locations, believes that it is our responsibility as individuals and as a company to be a good steward of our environment and maintain eco-friendly printing practices. In an industry where there is a strong focus on environmental sustainability, we make the right choices in keeping with our values and with our ecological printing policies. 99.9% of our waste paper is collected and recycled. That means we recycle 20 tons of paper each week! We are certified to the Sustainable Forestry Initiative® (SFI®) and by the Forestry Stewardship Council® (FSC®) for our efforts in utilizing papers originating from a sustainable, ecological source and for maintaining rigorous processes, procedures and training to ensure our standards of excellence and environmental responsibility. Modern Litho and Brown Printing are Ameren UE’s Pure Power Partners, supporting the generation of 132,000 kWh of wind power through their commitment to Pure Power and new green power sources. Click Here to download our Advantages of Windpower Infographic. Pure Power©. Modern Litho supports the generation of 132,000 kWh of wind power through their commitment to Pure Power and new green power sources. This annual commitment prevents the release of 200,668 pounds of carbon dioxide, the environmental equivalent of taking 17.8 gasoline-powered vehicles off the road for a year. 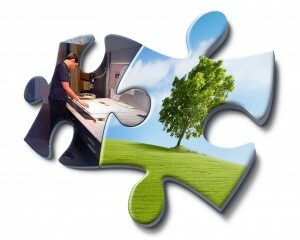 Modern Litho, Brown Printing and Modern Litho-St. Louis are proud to print their materials with 71% BioRenewable Ink.